Max Pashm first rose to fame in 1997 as one of the early pioneers of world fusion music, before the Balkan sound became omnipresent in Global Beats and World Music circles. 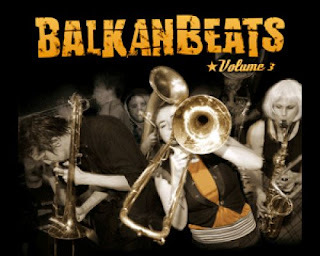 The ‘Max Pashm’ sound is a unique blend of Klezmer, Balkan, Greek, Gypsy Punk with blistering electronic beats. A daring and perfect marriage fusing the old traditions with the new and cutting edge sounds of today and the future. The ‘Max Pashm Band’ is a collective of some of the finest UK based Jewish, Greek and Balkan musicians, including the bouzouki maestro George Kypreos, the imfamous Merlin Shepherd on Klezmer clarinet, Bulgarian singer Eugenia Georgieva, guitarist Rik Harrington and of course Max Pashm himself on vocals, percussion and electronics. After the release of the new ‘Max Pashm’ album ‘Never mind the Balkans’, the ‘Max Pashm Band’ have performed over 40 shows in 12 different countries in 2008.